Climate change is a complex and dynamic environmental, cultural and political phenomenon that is reshaping our relationship to nature. Climate change is a global force, with global impacts. Viable solutions on what to do must involve dialogues and decision-making with many agencies, stakeholder groups and communities crossing all sectors and scales. Current policy approaches are inadequate and finding a consensus on how to reduce levels of greenhouse gases in the atmosphere through international protocols has proven difficult. Gaps between science and society limit government and industry capacity to engage with communities to broker innovative solutions to climate change. 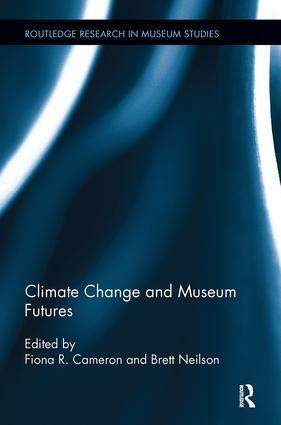 Drawing on leading-edge research and creative programming initiatives, this collection details the important roles and agencies that cultural institutions (in particular, natural history and science museums and science centres) can play within these gaps as resources, catalysts and change agents in climate change debates and decision-making processes; as unique public and trans-national spaces where diverse stakeholders, government and communities can meet; where knowledge can be mediated, competing discourses and agendas tabled and debated; and where both individual and collective action might be activated. Programming Interlude IV: Under the IceCap: Sonic Objects and "BioLogging"